Milan Stock Exchange, officially known as MTA S.p.A is a stock exchange located in Milan, Italy. Founded in 1808, the exchange was privatised in 1997 and is a subsidiary of the London Stock Exchange Group plc since 2007. Milan Stock Exchange facilitates trading in equities, futures, options and interest rate products. As of March 2016, the total market capitalisation of the exchange stood at US $645 billion with more than 350 listted companies trading on the exchange. The main Indices of Milan Stock Exchange include the FTSE MIB, FTSE Italia All-Share, FTSE Italia Mid Cap, FTSE Italia Small Cap, FTSE Italia Micro Cap, FTSE Italia STAR and FTSE AIM Italia. 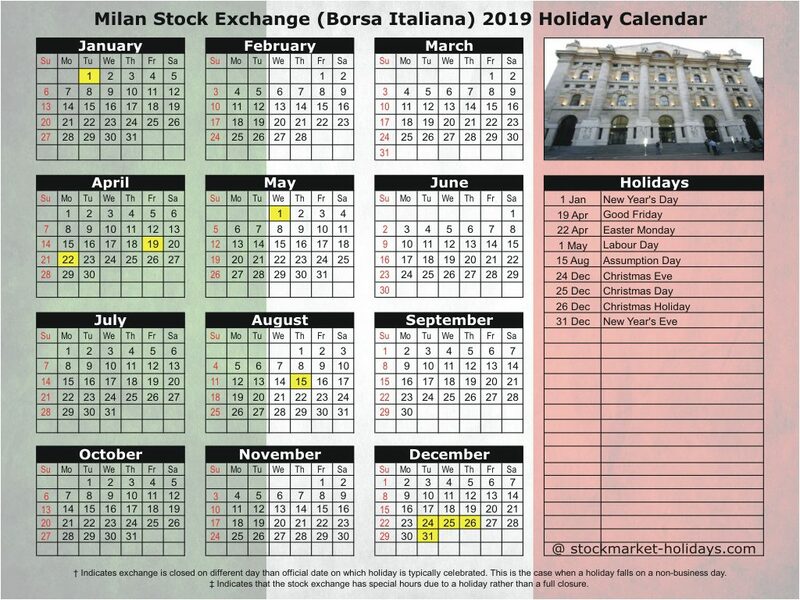 If you are from Italy or if you are trading in Milan Stock Exchange, then I am sure you might be searching for Milan Stock Exchange Holidays, Milan Stock Exchange Trading Calendar. 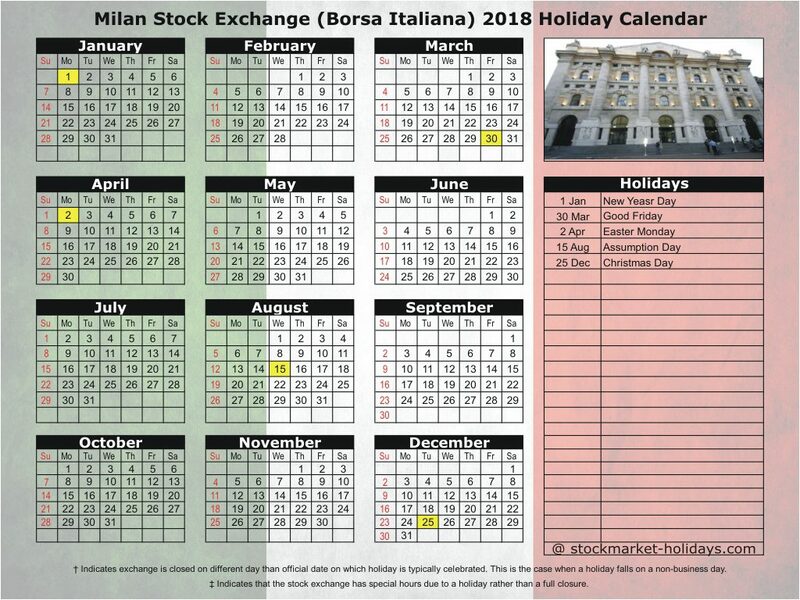 Below we have provided Milan Stock Exchange 2018 / 2019 Holiday Calendar. Live Quotes and Charts, Company Profile, Results, Corporate Announcements and all other information of all the securities trading on Milan Stock Exchange will be available on official website of the exchange.